Help TECHNE Teach Electronic Music This Summer! Techne has officially kicked off their 2015 Girls Rock Camp Workshop fundraiser! 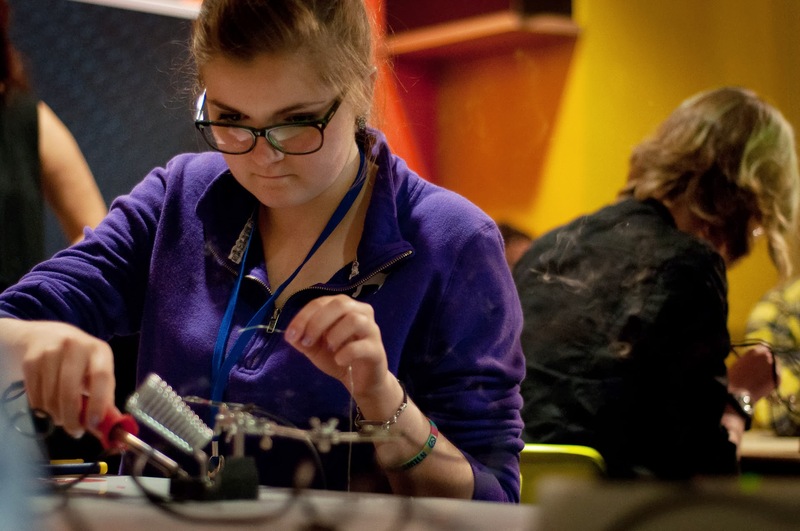 Last summer TECHNE brought their DIY electronic music workshops to over a hundred young women at Girls Rock Camps and nonprofit art centers in Nashville, Washington DC, New Orleans, Philadelphia, Charlottesville and more and the tour was a huge success! This summer we’re heading to sunny Southern California and Texas! We’ve got special workshops planned for the Girls Rock Santa Barbara sleepaway camp, and contact mic building in San Diego Los Angeles, Houston, Dallas and Austin! In addition to the workshops we’ll be performing a concert in each city, featuring Bonnie & Suzanne in duet, and fellow local female artists. These events will provide much needed modeling of women electronic musicians practicing their craft.